Madhya Pradesh is home to several historical places which have been princely states of India at some point in time. Hence, you can find numerous spots of historical significance within the boundaries of these places. However, there are also a myriad of destinations in the state which are equally popular for their history as well as nature. One such place is Rewa, which has become a perfect weekend stoppage over a period of time amongst local tourists. Located at a distance of about 480 km from Bhopal, Rewa is a beauty which should not be ignored by any tourist; not only on account of its aesthetic presence but also due to its rich culture and age-old traditions. So, what do you think of a trip from Bhopal to Rewa this season? If you are always keen on exploring ancient spots amid beautiful greenery, then you must visit Rewa. During the summer season, the temperature conditions rise above the mean level and hence, it is a least-preferred tourist spot for nature lovers during this season. However, for offbeat travellers and history lovers, Rewa is an all time stoppage. If you are looking forward to avoiding the summer heat and exploring the beauty of Rewa, then the best time to visit is from September until the end of March. By Air: Rewa has its own airport but there are no regular flights running from Bhopal. Therefore, it is advisable to take a flight to Khajuraho Airport, which is located at a distance of about 160 km. From the airport, you can hire a cab to Rewa district. By Rail: Rewa has a good rail network and hence, you can catch a direct train from Bhopal railway station to Rewa Junction. By Road: Rewa is situated about 480 km from Bhopal and is easily accessible by road. You can either drive on your own or catch a direct bus to Rewa from Bhopal. Once you are on your way to Rewa from Bhopal, you can also catch a glimpse of Sanchi Stupa at Sanchi and Lakha Banjara Lake at Sagar. Sanchi is a popular tourist spot in Madhya Pradesh and is famous for its age-old Buddhist complex, which houses the Great Sanchi Stupa, one of the largest stone structures in the country. Sanchi Stupa is said to have been built by the Mauryan King Ashoka and is known for its beautiful structural formation with the use of commendable architraves, gorgeous arches and appealing patterns. You must visit this Buddhist complex at Sanchi if you are an ardent lover of architecture and history. You also get the opportunity of witnessing some other ancient marvels from the period before the Common Era. Sanchi is located at a distance of about 50 km from Bhopal and 430 km from Rewa. Sagar is another en route destination which should be explored by every traveller. Even though there are not many places to explore within its boundaries, it remains flooded with passers-by due to the presence of the beautiful Lakha Banjara Lake. As Sagar is famous amongst tourists for its temples, you can spot several sites of religious importance here. These sites include Neminagar Jain Tirth, the Jain pilgrimage centre of Pateriaji and several other Hindu temples dedicated to Lord Shiva and Lord Vishnu. Sagar is situated at a distance of about 165 km from Bhopal and 315 km from Rewa. Apart from its majestic forts and natural surroundings flourishing in the form of lakes and waterfalls, Rewa is also popular as the site where the first white tiger in the world was captured. Since then, it has been called the land of white tigers. The first white tiger safari in the world was also established in the Rewa district. Regarding history, Rewa is said to have been in existence since the time of the Mauryan dynasty before the Common Era. Later on, it was ruled by several other empires, such as Kalachuris and Delhi Sultanate, before becoming a princely state in the Medieval Period. Today, Rewa is a popular tourist spot and is visited by thousands of domestic as well as foreign tourists every year. Following are the must-visit places in Rewa. The forts and palaces of Rewa are its invaluable splendours and hence, they should not be missed by any traveller or tourist. The major forts and royal palaces here include Rewa Fort, Govindgarh Fort, Venkat Bhavan and Pili Kothi. All these historical monuments certainly depict the ancient beauty of Rewa, thereby, making this town a must-visit destination. How about studying the rise and downfall of Rewa through its majestic forts and royal palaces this weekend? How can anyone looking for a serene atmosphere miss exploring the natural surroundings of Rewa? From mini lakes to waterfalls, the land of Rewa is patched with numerous waterbodies which help in maintaining its overall natural charm. These natural marvels include Chachai Falls, Purwa Falls, Rani Talab, Keoti Falls and Bansagar Reservoir. Being a historic city, Rewa hosts numerous ancient temples and religious sites as well. The major temples to visit here include Rani Talab Temple, Shiva Temple, Bajrangbali Mandir, Durga Mata and the monumental statue of Lord Shiva, who is depicted in the form of Bhairav Baba. You must catch a glimpse of all these beautiful temples if you desire to learn about the religious significance of the town. Apart from all these wonderful and alluring places, Rewa has in store a lot to explore. 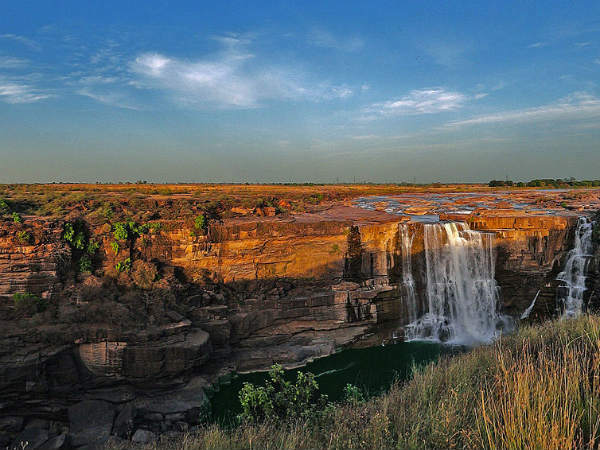 Several other tourist places of interest here include Baghael Museum, Ranipur Karchulian, Deur Kothar, Bhandavgarh National Park, Bahuti Falls and Deotalab Shiv Mandir.